Thanks to Infolinks for being so generous and ending me the cool Infolinks cap. Just few days ago my other blog, The News Around Us won a free review from the Infolinks community. The review helped a lot in making improvements to the news website. If not for the Infolinks community I would not have made great adjustments to the site. News Around Us is determined to be a genuine citizen news portal with various volunteer writers and bloggers contributing content. By the way I am inviting my fellow bloggers to sign up at Infolinks and star monetizing their blogs and websites. Don't forget to also like Infolinks on Facebook. If you are one of those interested to be a volunteer/guest writer and blogger for News Around Us just comment in this port or send me an email at shenbrood16 [at] gmail [dot] com. Hi, it's Sarah from Infolinks and you are more than welcome. We're happy to have you onboard as a publisher! Thanks Sarah! 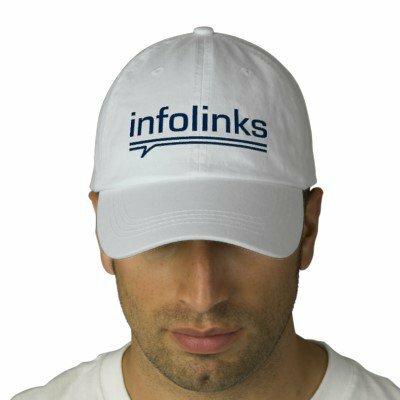 Infolinks is really a great help to earn from blogging :) Thanks for the cool cap as well.